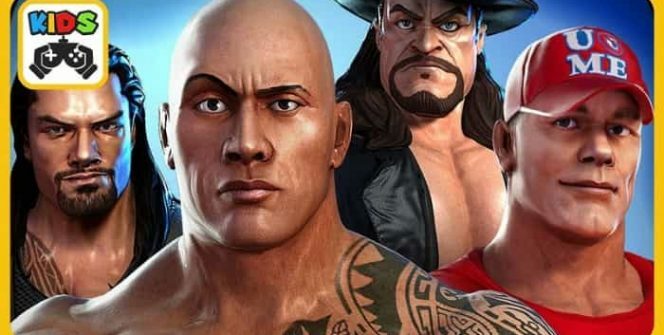 WWE Champions is developed by Scopely, and allows you to assemble a team of WWE superstars to take on other WWE characters in a variety of game modes. The Match 3 puzzle game is designed for Android and iOS devices, but it can be made available on a PC with an Android emulator. When playing this RPG, you should aim at defeating your opponents by using signature WWE moves on them. By just installing the game, you will be rewarded with Kevin Owens and KO which are some of the well-known champions in the WWE world. 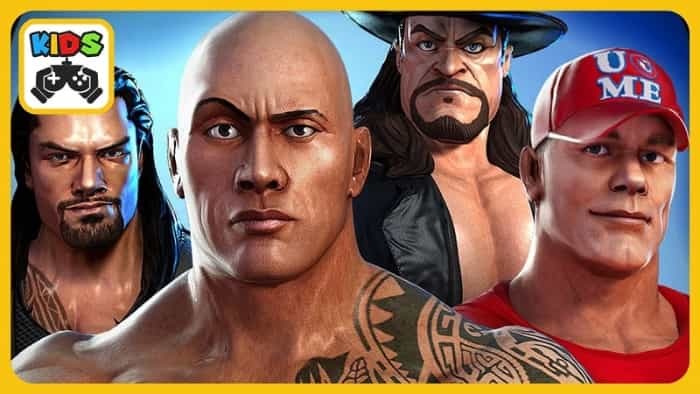 As you continue playing, you will be able to unlock other superstars such as Undertaker, The Rock, John Cena, Macho Man Randy Savage, Andre The Giant, Big Show and Triple H. With these heroes, you can create a strong roster of champions that will enable you win many games. When fighting as a single team, you can build up energy, face another team and pin it down using signature WWE moves. You need to fight skillfully as you unleash devastation on your enemies in order to win the epic battles which last for less than 5 minutes. When it comes to the team-ups, you can join your friends and fight your rivals or another group of friends. WWE Champions offers weekly bouts and mini games that you can participate and win amazing rewards if you defeat other teams. These events are also a great way to improve skills and gain experience which is highly needed in the main game. Some great events that you can get involved include Smackdown and Monday Night RAW. The aim of creating special pieces is to add extra turns to your wrestlers. You can match five similar gems to create a Wild Card which will add an extra turn to your fighter. Another great way of creating special pieces is unleashing signature moves. This helps a lot when upgrading your wrestlers. To upgrade your wresters, you need coins and talent point (TP) posters which can be hard to accumulate. So it is wise to upgrade one hero fully rather than doing partial upgrades on a number of heroes. The game has six classes (Purple, Green, Red, Blue, Yellow and Black) and some classes are stronger than others. The classes also have different abilities, for example, some heal themselves and steal opponents’ gems while others cause special moves. As mentioned above, you can improve your fighters with coins and TP posters. 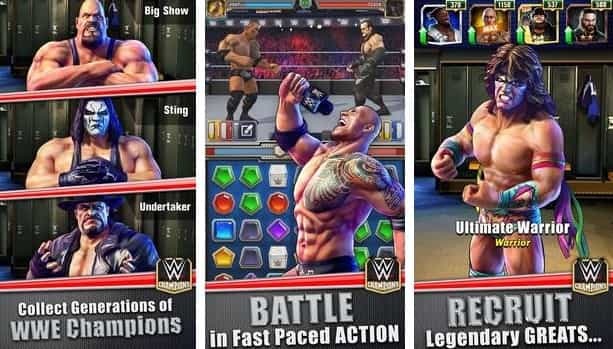 During the initial stages of the game, it will be easier to upgrade your wrestlers compared to the last stages which will require you to play more games to earn enough coins and posters. Moves can also be upgraded with coins and posters, but there are other things like cash and tokens which are pretty good in leveling up these fighting techniques. In order to install this RPG on your desktop, laptop or MAC, you need to use an Android emulator which allows you to download the game app on your computer. Playing the game on your PC is quite convenient as you will be using better controls and viewing on a bigger screen. Sometimes when playing WWE Champions, bluestacks ask you fee to pay but gives you option to download some apps. Every time it asks you just select “Install apps” and continue using it free. I hope you enjoyed this article, please rate and share. If you have problems running WWE Champions on desktop or any other issues, leave a comment below.